All HOMESTEAD FARMS homes currently listed for sale in West Valley City as of 04/18/2019 are shown below. You can change the search criteria at any time by pressing the 'Change Search' button below. 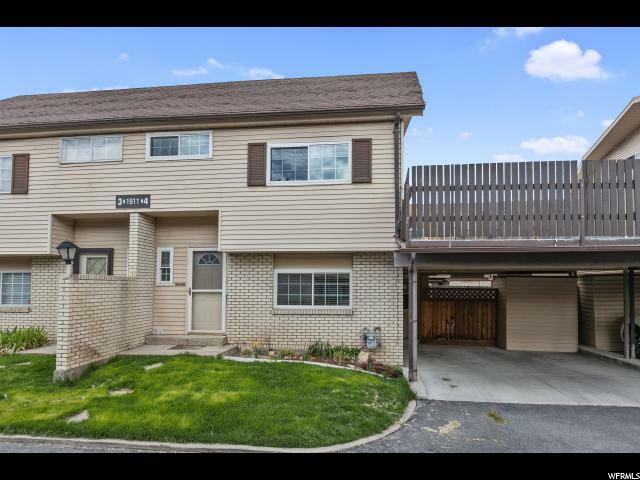 "Townhome with easy freeway access, close to Traxx & SLCC. Immediate move in ready. Dinning nook that is not available in all units. Bedrooms big enough for a king size bed. New vinyl windows, furnace, A/C, & water heater in 2009. Updated Master tub & 3rd floor shower. New flooring in Master Bath & 3rd floor bath. Private deck off the Master Bedroom & private patio behind the carport. Storage on the 3rd floor & secure shed on patio. Newer appliances. Built in cabinet for entertainment system. Square footage figures are provided as a courtesy estimate only. Buyer is advised to obtain an independent measurement."